Someone who is sentimentally silly; a term of endearment. When one thinks of Twin Flames, one immediately thinks of the roller coaster of extreme emotions involved and the struggle of Same Soul Twins to reunite. Rarely do we associate “Twin Flames” with fun. But there is actually a great deal of fun within the Same Soul Twin journey, that lights up our daily lives. That is the case with my Same Soul Twin “Twinklebear” Lesley Maclean and me. Part of our great fun, comes from the fact that she is a Brit and I am a Yank. Our loving interactions include an intellectually fascinating, endless exploration of the other’s cultural and linguistic differences. While we do share a common language (But I do have to teach Twinklebear how to speak proper English—“RUNNING”—ha! Hey Twinklebear—put down that rolling pin! ), there are so many idiosyncratic twists and turns in British English I am unfamiliar with, which I love to explore, and vice versa for Twinklebear about American slang. It is fun! This adds spice to the fact that as Same Soul Twins, we experience the typical compulsion to talk for hours (if we could, schedules permitting) every day. This is a true characteristic of Twin Flames. I’ll give you an example. Yesterday, Twinklebear said of someone, “He’s really jumped up.” I had no idea what this meant. She then explained to me that it means to behave self-importantly, “full of himself,” as if the person is acting above what his position usually is. That makes perfect sense, as if, “Jack Jones acted several steps above his status at the firm,” etc. 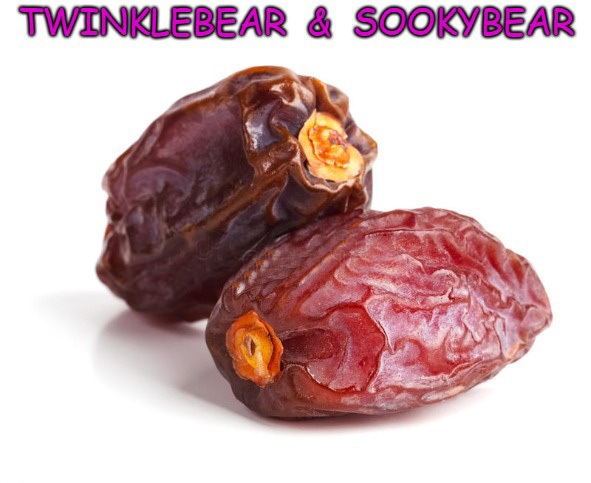 Whenever I hear Twinklebear using an British idiom and I express ignorance of its meaning, Twinklebear is always surprised that I didn’t know what it meant. That is because we share so much of our linguistic common denominator of the English language, that the occasional slang term not understood, is rare. But it does happen. I’ve been marveling at the beautiful logic behind many British slang terms. Another British slang term that is wonderfully logical, is “tipping down.” One time, Twinklebear said to me, “It’s really tipping down now.” I finally realized that she was referring to heavy rain. The logic of this phrase is wonderful, if one visualizes a giant hand in the sky, tipping over a full pitcher of water. Another British phrase that is commonly used is, “I feel shattered.” When Twinklebear once said that me, I was immediately prepared to comfort her. Why? Because when an American says “I feel shattered,” it means that person is emotionally distraught. It also means that in England, but its alternate meaning is, “I feel exhausted.” This phrase is never used in the context of being “very tired” in the US. Here’s another one. Twinklebear once referred to the “car park.” In my mind, I visualized the living, talking cars in the cartoon film “Cars”—going to Central Park to have a picnic. Ha! But it means nothing of the sort. “Car park” is simply the English version of what Americans call “parking lots.” I bet that “parking lot” sounds foreign to the British ear. There is one Britsh slang phrase I truly love. And this came up one time when I expressed how much I love Twinklebear. In response, she said to me…..
Ha! How adorable is that? Now I’m a soggy fruit! But Twinklebear clued me in, as this was a phrase her mum lovingly applied, as a term of endearment, along with “daft apeth.” And it is true. She and I are such soppy dates with each other, and this is a true characteristics of Twin Flames, where all the barriers have fallen between us, and we are totally and unembarrassingly ourselves with each other. We are like two teenagers mooning over each other, but it never ends regardless of age! See? There is a a great deal of fun in the Same Soul Twin journey! You really are a ” soppy date,” my sookybear, what a lovely ,well put memoir. I love our exploration into language, and time. It’s like when you said once ” doenwrrybowdit ” ! All in one word, ha! We would never say that , as you know I would say ” do not worry about it “. Also ” whadda”. ! We say ” what do ” little difference like that are what fascinate us. I believe it is even more fascinating, as we don’t have to get the ” language converter dictionary” out! Ha! Like ” English to Italian” or other foreign languages. I love this memoir, thanks so much my sookybear for writing it,. You have a wonderful imagination, and mind. Podmates Twinflames 🐻 pact forever and a day 121212 .